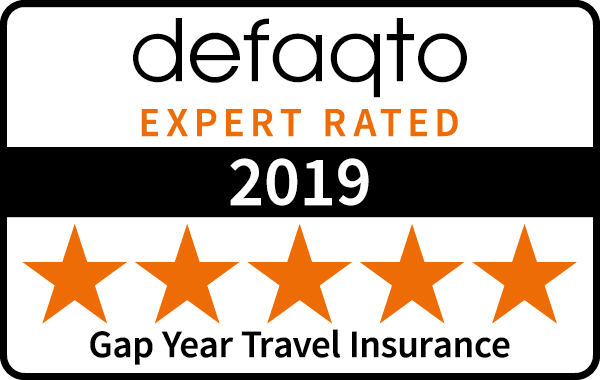 We've made it easy for you to see how we compare to other backpacker and gap year travel insurers by compiling a comparison table. We took quotes from our competitors based on the same specifications and policy values as our Silver package - we also offer additional cover under our Gold and Platinum cover levels. Whilst we offer travel insurance from 1 month all the way up to 18 months, our most popular duration of travel is 12 months. The table below therefore compares 1 year travel insurance policies to Europe, Australia & New Zealand, Worldwide excluding USA, Canada & the Caribbean (including Asia, Africa and South America) and Worldwide including USA, Canada & the Caribbean. Note* - These figures are based on manual quotes from each insurer on 25th March 2019. Quotes based on a single 25 year old traveller travelling for 1 year for a policy including at least £5,000,000 of medical cover, at least £1,000 of baggage cover and at least £1,500 of cancellation cover. These figures will be updated approximately once every 6 months. Cover for up to £10,000,000 of medical expenses whilst abroad. Cover for your personal belongings & baggage if lost or stolen. Cover if your passport is lost or stolen so you can continue your travels. Remuneration for emergency supplies if you baggage is delayed.